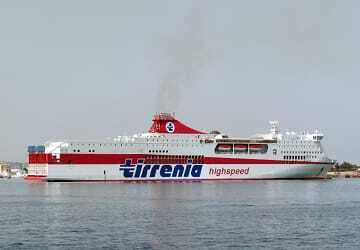 This ship is no longer operated by Tirrenia. Built in 2002 replacing older vessels for the connection between the continent and Sardinia, the Amsicora has a passenger capacity of 1850, along with numerous cabins and suites to choose from. On board facilities include a self-service restaurant, 3 bars, 2 locations to shop, cinema, 2 internet points, children’s play area, nightclub and an outdoor pool. Please Note: Whilst we have taken great care in making our Amsicora guide as accurate as possible, onboard facilities, services and entertainment may vary depending on the date and time of year that you travel, facilities mentioned may change without notification and ferry companies reserve the right to operate vessels other than those mentioned at time of booking without prior notification. 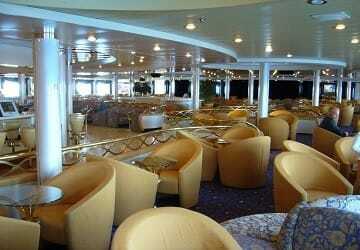 All ok, punctuality and competence, general cleaning. Excellent, recommend it!!! Excellente crossing, clean cabin and efficient staff! Overall we enjoyed our little adventure. The staff were really friendly and helpful, we were in a nice cabin and the top deck was available for anyone to hang out during the transfer. We also had a good night of sleep as we heard no engine or anything - the sea was still as well. 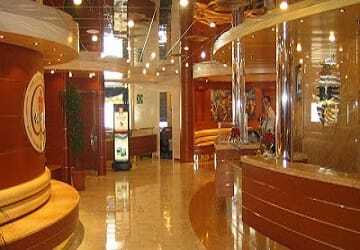 Boarding and leaving the ship was easy and hassle free. The ship is a little tired, so we assumed it was an old cruise ship now used for short transfers, but quite interesting. Food wasn't very good.. - the only thing. 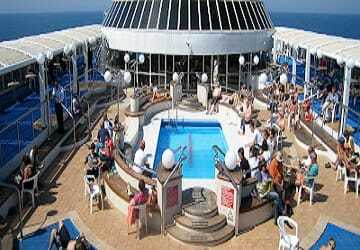 The ship was very nice. Organization during boarding and landing was very good. The only problem is that the staff does not speak neither English nor Deutsch - only Italian. 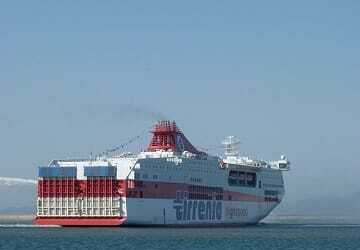 Recent crossing from Olbia to Civitavecchia was very smooth. 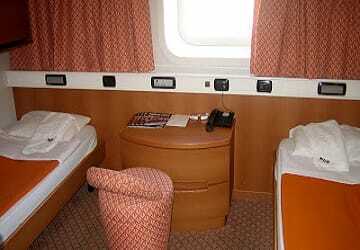 The cabin was spotlessly clean and quite spacious, with 4 beds for 2 persons (1st class). The restaurant was reasonably priced, but we were surprised that the food was exactly the same as the self-service café, just with table service.